As the seasons change, it’s a great time to contemplate how you’ll be outfitting one of the most important parts of your body: your feet. While warmer weather in the northern hemisphere naturally entices unshod nakedness for many, it’s very likely you’ll find yourself needing (or preferring) some footwear to navigate yourself gracefully and optimally through various situations – from the natural world to the opera house and everything in between. Here’s my top picks for the essential categories. Authors’ note: Despite having “organic” relationships with some of these companies, my reviews are honest and purely based on my personal experience with a wide assortment of brands. I even snagged a few special offers for ya’ll as our readers, with no affiliate kickbacks involved (we wanted to stay unbiased and pass the savings to you!). Danny’s top choice: MovNat Mocs by Softstar. The MovNat Mocs are hands down the best footwear experience for MovNatting; second only to bare feet. These Moc’s innovative, super minimalist design offers the experience of lightness and freedom found in barefoot training while still providing substantial protection from cut skin and ripped callouses – a big limiting factor for effective, sustainable training in modern life. Their uber-flexible design also maximizes movement in your feet, which is highly desirable for people who have restored baseline joint function in their foundation (or are close). In fact, I enjoy the movement-rich sensation of wearing these shoes so much that I started wearing them everywhere…including nice restaurants, much to the chagrin of my significant other at the time. I finally caved, and started wearing more attractive and socially acceptable footwear in certain circumstances (see below). My love of these Mocs for training persists, nonetheless! With a newly updated design, boasting an even more streamlined exterior, these babies really shine as the ideal training shoes for enthusiasts. Special Offer: Click here to grab a pair and use promo code “MOVNAT” at checkout for an additional 10% off your order. Offer expires 5/1/18 at midnight. My love affair with Earthrunners came right after I realized I couldn’t wear my MovNat Mocs everywhere and remain “socially acceptable” to most. After initially being salty about swallowing my idealism, I was pleasantly surprised by how much I enjoyed wearing these sandals. In fact, they quickly became my 3 season dailys. 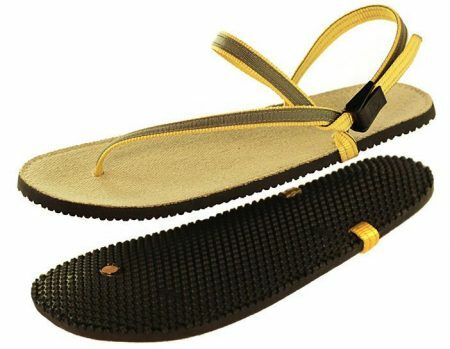 With versatile options for sole thickness, material preference, and color, these sandals allow me to feel stylish while also enjoying that unshod and free sensation we MovNatters crave. They also allow you to transition from urban elegance to extemporaneous movement fun seamlessly, which I really appreciate. 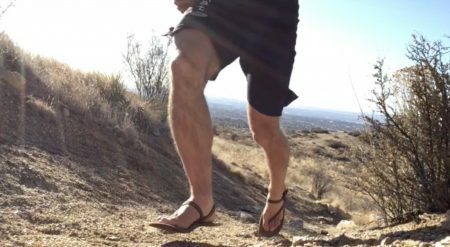 As a former “flip flop” wearer, I found Earthrunners to be way more comfortable than my old flops, more apt to stay glued to my sole (without that annoying smacking sound), and shockingly stylish in their un-clunky, minimal design. For most conditions, they are great for full on MovNat practice as well. Special Offer: Customize your own pair here and use promo code “MOVNAT” for a generous 10% discount. Danny’s top choice: Vivobarefoot shoes. As a former New Balance fan, I really appreciate what Vivobarefoot offers in both their design, material quality, and versatility. 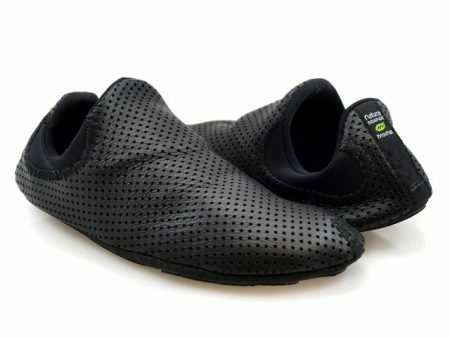 I like these shoes so much that they are the official shoe we provide for our Team Instructors that lead certifications. I’ll be straightforward in saying one of the best things about “Vivos” are their style. With a wide range of modern, fashion-forward designs coupled with a standard minimalist sole they’ve really distinguished themselves as a leading company in the increasingly competitive “barefoot shoe” market. I love their tasteful color palette and high quality materials. I especially appreciate that I can wear them comfortably inside the gym during training and also equally well with a casual pair of jeans for a night out on the town. Their durable and more traditionally encapsulating design also lends itself to colder climates, giving them more versatility and protection than sandals. Or, more accurately, they are the perfect companions to the other shoes in this review! Overall, they come with sizable price tag, but their multi-faceted value will leave you more than satisfied. To soften the blow, we scored a generous discount for you! Special Offer: Find your style here and use promo code “MOVNAT” at checkout for an additional 20% off your order. 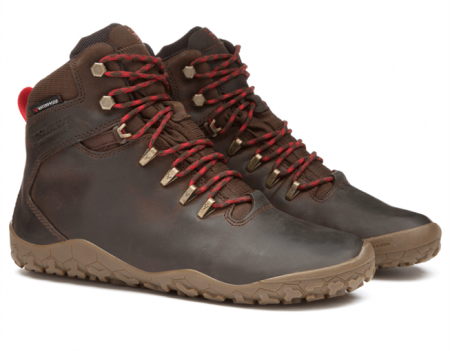 Danny’s top choice: Vivobarefoot boots. I didn’t even know “barefoot boots” existed until last winter, when I found myself dissatisfied with my former stiff boot’s lack of sole flexibility and contact sensation with the ground while MovNatting. 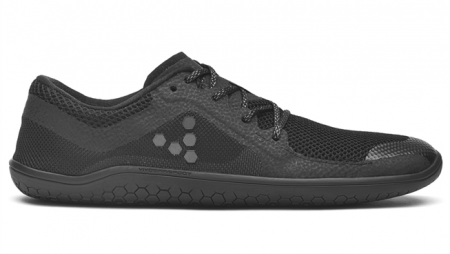 I received a pair of Vivobarefoot’s Tracker FG as a Christmas gift and was deeply satisfied with the product; so much so that I wear virtually nothing else all winter. They are flexible enough to wrap themselves around narrow surfaces, yet they also excel in the snow. What really hooked me on these shoes is they are so light and flexible that I can run naturally (ie with the ball of my foot striking first) in them and it feels fantastic. Outside of winter performance, these boots are also excellent for year-round ultra-rugged conditions. Where other shoes start to fall apart or expose your foot to substantial danger amid those mountain slopes only suitable for mountain goats, these boots endure and take you home hardly worse for the wear. From the harsh -20 degree Fahrenheit Vermont winters to the craggy New Mexico terrain, these boots are truly gems. Special Offer: Outfit yourself here and use promo code “MOVNAT” at checkout for an additional 20% off your order. Carets Co. is the leader in innovating dress shoes with zero drop and a wide toe box…without sacrificing classiness or style. The latter is an important detail in environments where first impression is linked to survival, and it’s for this reason Carets Co. dress shoes are literally in a class of their own. 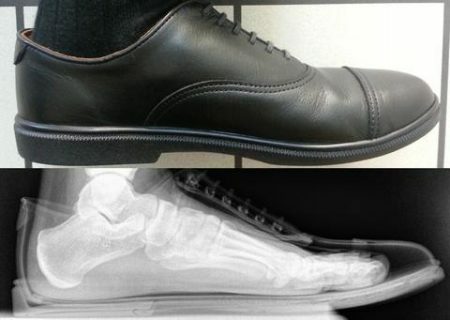 I think of so many office workers with their feet gradually, yet surely restructuring to fit the toe torqueing, alignment altering traditional dress shoe and I feel relief that this option now exists. The magic of these shoes is in their ability to portray the illusion of a traditional dress shoe via a false heel. With super high quality materials, they offer all the benefits of a classical dress shoe without all the drawbacks…. what more can you ask for? 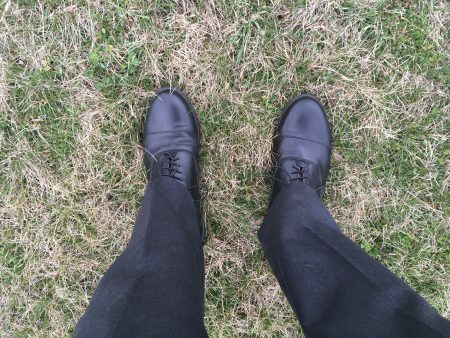 I recently spent a day wearing them at a funeral and was happy to bypass the usual enduring ache in my feet. Remember, simple changes to your environment (including your clothing) can profoundly influence your movement behaviors. 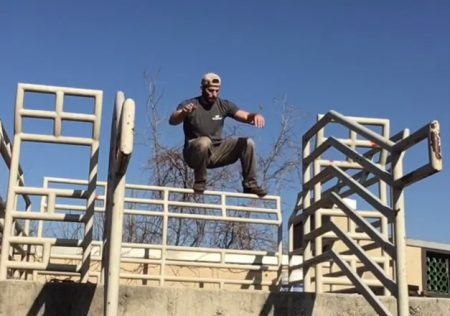 In addition to learning how to move more naturally through MovNat, we encourage you to explore how to find more freedom and movement-friendliness in all areas of your life! How do you not have Vibram 5finger toe shoes in there?